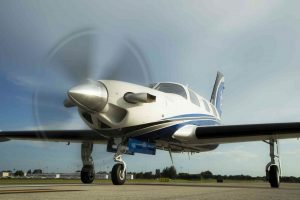 VERO BEACH, Fla., Sept. 9, 2016 – Piper Aircraft, Inc. was granted a Production Certificate for its new advanced, single-engine M600 turboprop by the Federal Aviation Administration on September 1, 2016 at its Vero Beach, FL. headquarters. The Production Certification grants Piper the authorization to produce, flight test and issue airworthiness certificates for the M600 for customer deliveries. This entry was posted on Friday, September 9th, 2016 at 1:53 pm. Both comments and pings are currently closed.